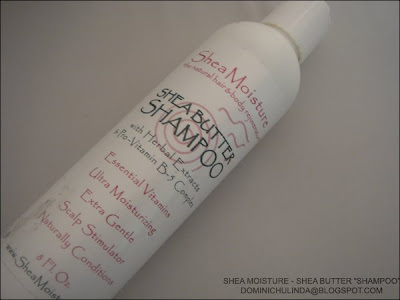 SheaMoisture Shea Butter Shampoo with herbal extracts and Pro-Vitamin B-5 complex is designed to thoroughly clean, condition and restore natural pH leaving hair clean, soft & healthy. When I first applied this product to my hair I felt it was rather too thick and not creamy enough for my hair type. So with that being said the second time I tried this product I applied olive oil to it and it worked perfectly (same goes with the raw Shea butter). I will wash my hair with this product once a week (I condition my hair every other day).